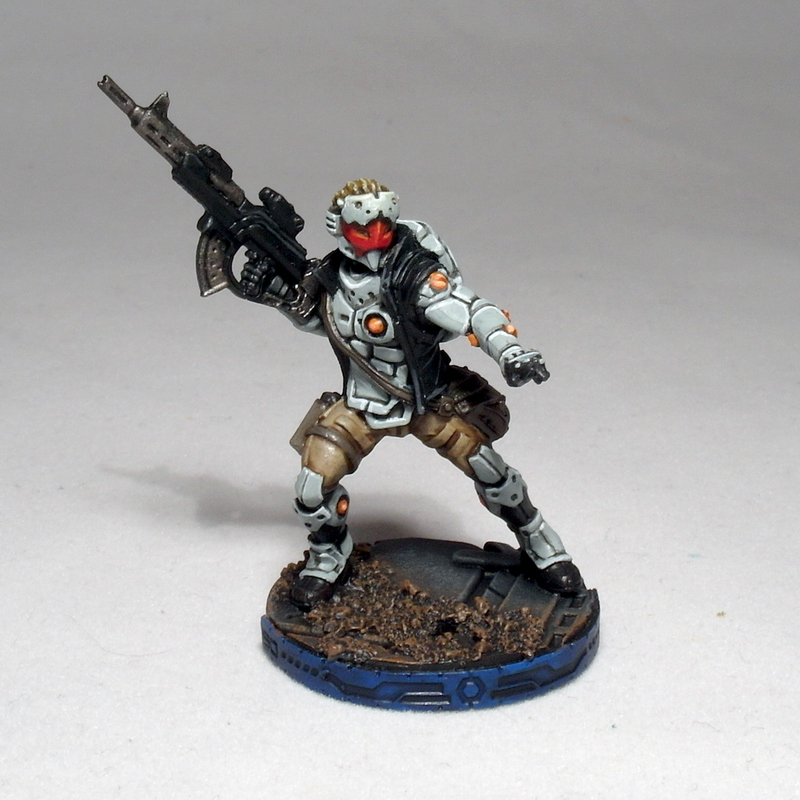 As well taking my first steps into the world of podcasting, the majority of my hobby-time recently has been spent painting up some Infinity models for my podcast co-host Adam. 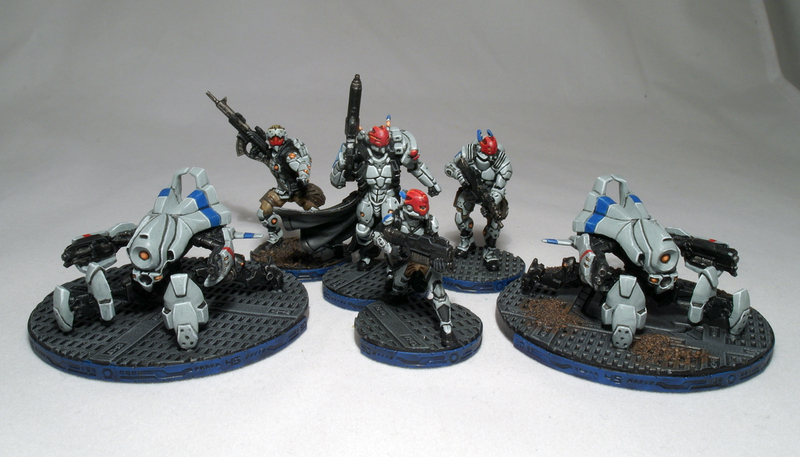 This second batch of models was very much oriented to the Shock Army of Acontecimento sectorial, with a smattering of other figures from elsewhere in the PanO range. 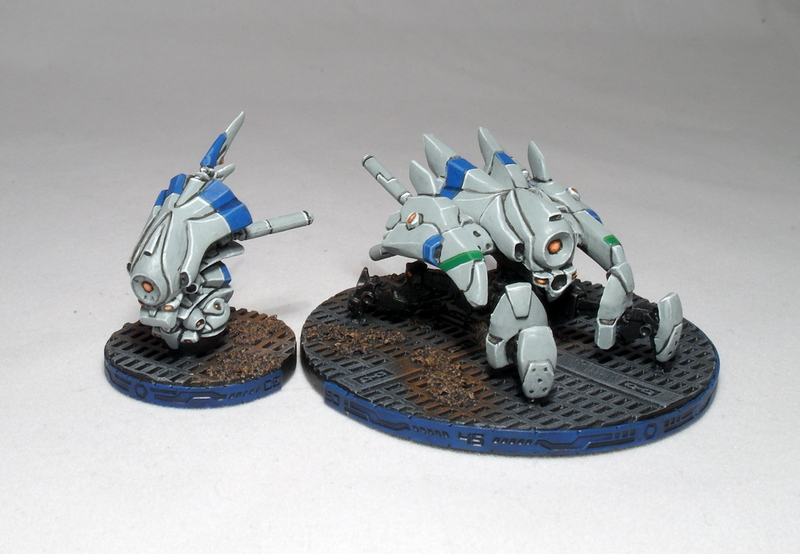 At Adam’s request I added a red stripe to the outer weapon cowlings to denote the Armbots as Neoterra units. 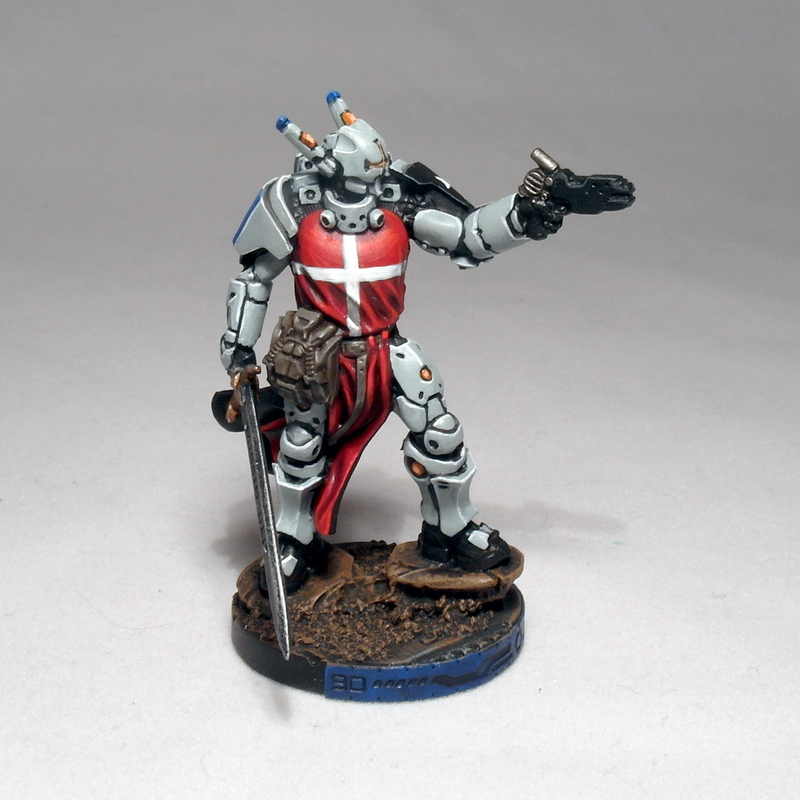 The Crusader has been given robes from the order of the Knights of Santiago, the black giving itself a nice contrast to the off-white armour. I feel the red of the Hospitalier’s robes give an even nicer contrast to the bright armour – although I’ve not yet been able to convince Adam to let me repaint the Santiago’s robes into similar colours! Luckily all of his Order Sergeants will follow the Hospitalier order, so they should look pretty striking on the battlefield! And of course, no doctor is complete without a couple of G:Servant remotes. 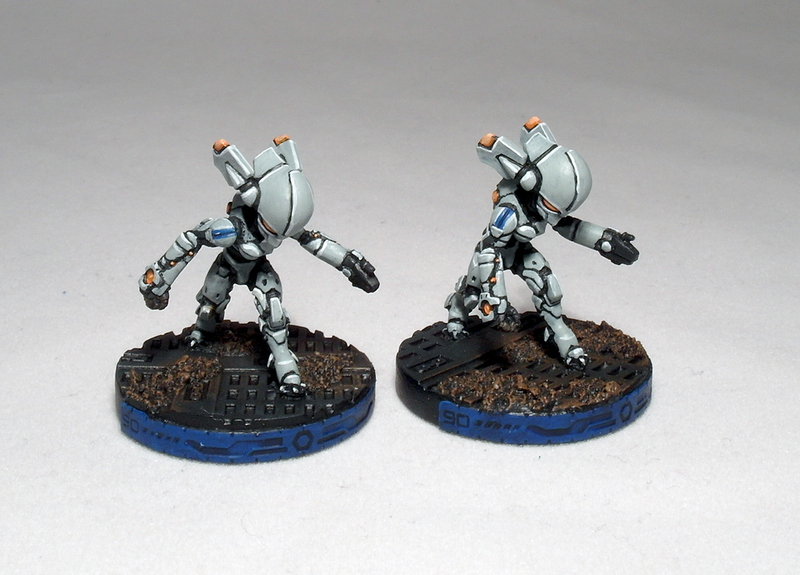 Adam was never a fan of the PanO Palbot models, so elected to convert up a couple of Aleph Yudbots to use instead. I think his conversion has worked really well, and once painted up in the same colours, they don’t look out of place alongside the rest of the force! 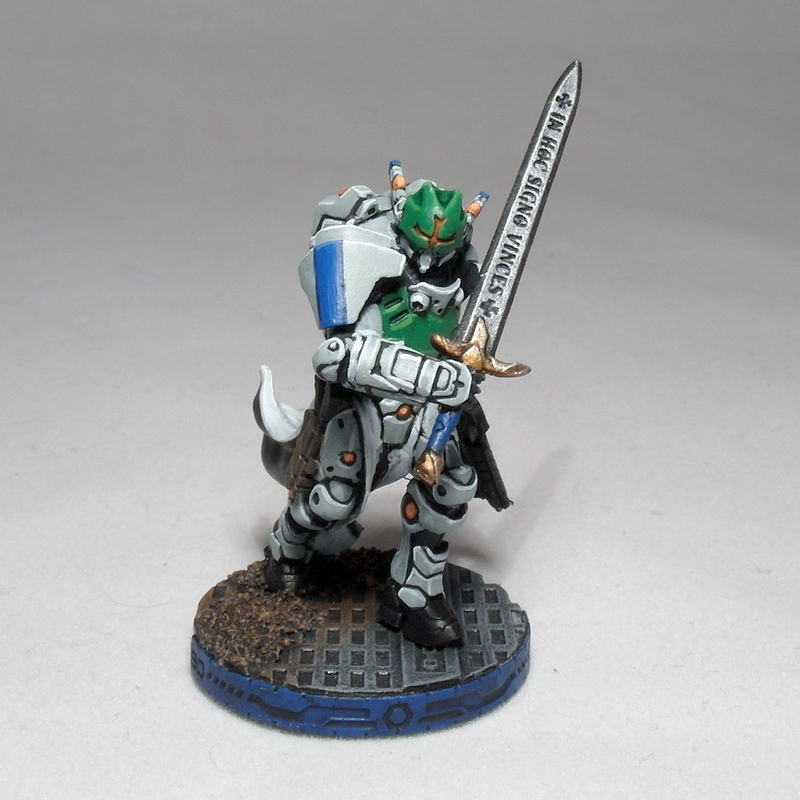 Nice and simple for him, with some green armour plates really being the only difference from the Father Knight figure from the last batch. 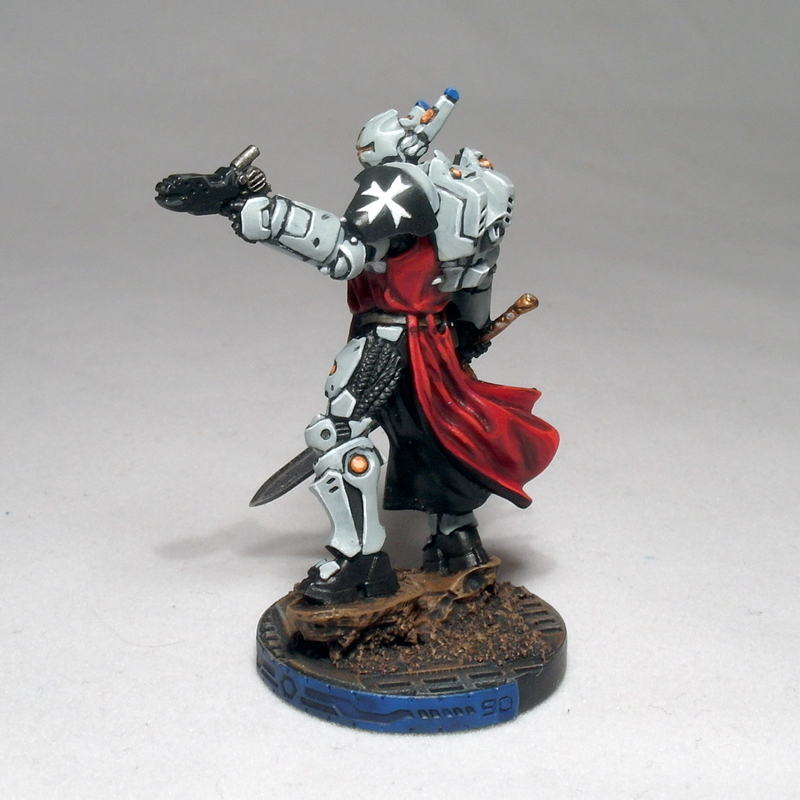 Unfortunately the freehand on the front of his robes isn’t visible in these pics. 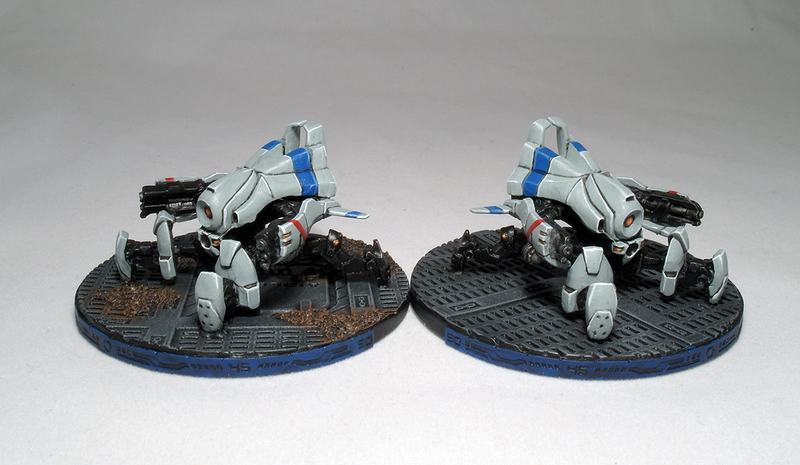 The final models in this batch are the Bagh Mari and Peacemaker Armbot. 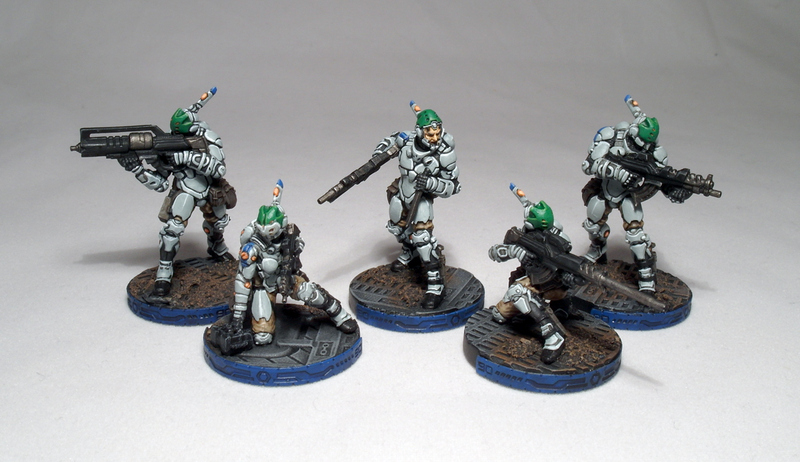 The Bagh Mari were a bit fiddly to paint (especially the two crouching females), but all together they look great – Bagh Mari were some of my favourite models from the original PanO range, and their most recent sculpts look even better! For the Peacemaker, I added a green stripe to the outer cowlings, similar to the Bulleteers, while the Auxbot was left ‘neutral’. 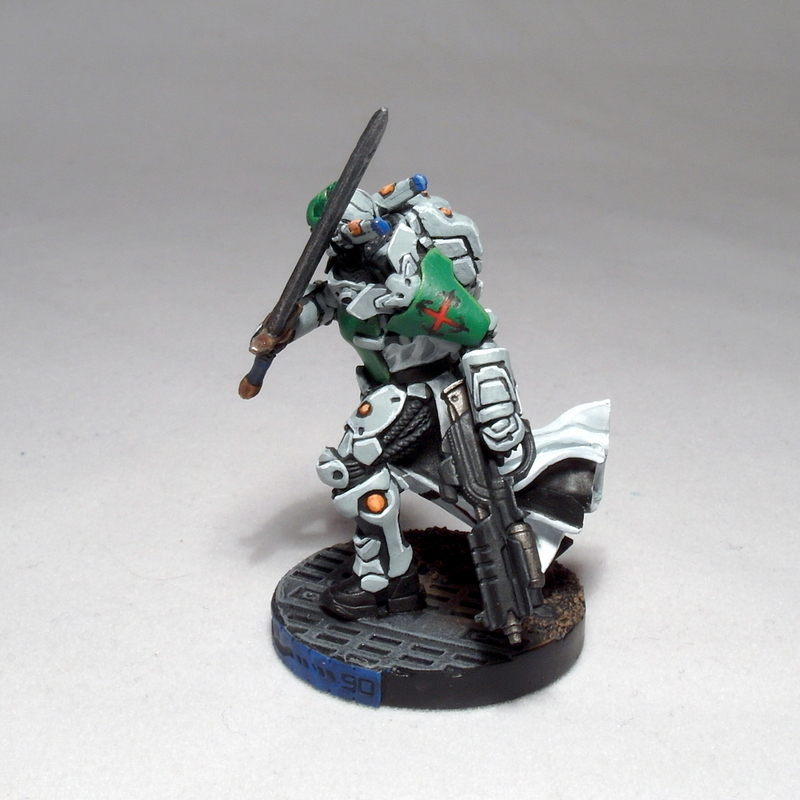 since they can be used by multiple models in the army. 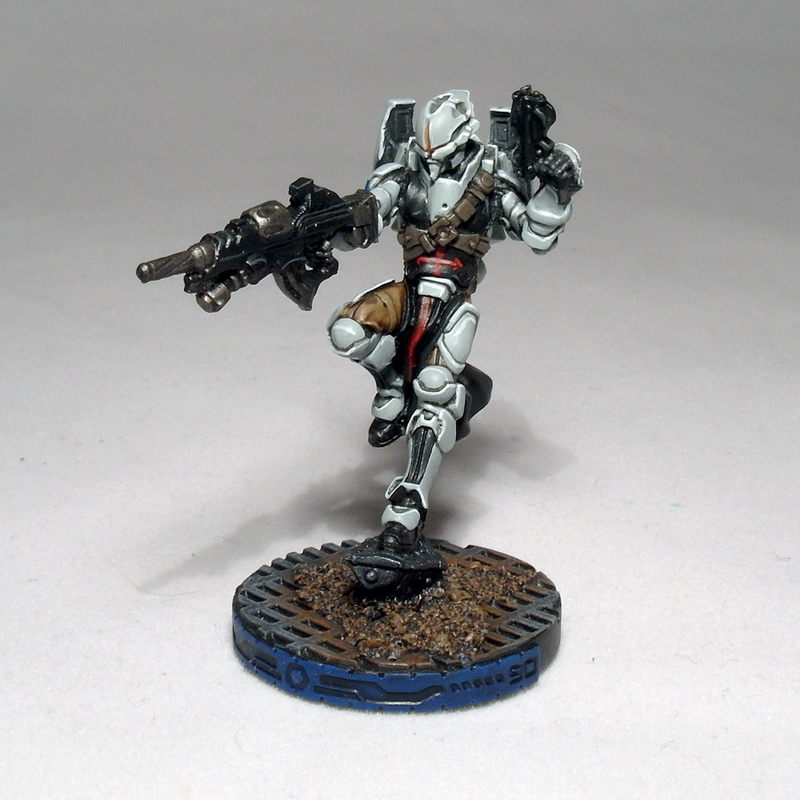 The next batch of models will include a TAG, so I’m looking forward to flexing my paint-muscles on that!